Many investors understand what dividends are. However, not many realized that there is another type of invisible dividends that is called the share repurchase. Both shares repurchase and dividends have its advantages and disadvantages. When a company decides to purchase its own shares, it is called a share repurchase. Normally this is done by buying shares from the stock exchange and it is exactly how an ordinary investor would buy stocks from the stock exchange. Do note that real cash is used to purchase its own shares. This cash could have been retained by the company as retained earnings for the purpose of reinvesting in its own company operations or pay out as dividends to its shareholders. Since it has decided to repurchase its own shares, there must be reasons to do so. So, what are the common reasons? One reason could be that the company thinks its stock is undervalued. It is like an investor who thinks the stock is trading below is intrinsic value. The company, acting like an investor, decides to invest in its own stock. Example: Warren Buffett's Berkshire Hathaway recently remove a restriction for the company to buyback its own stock. See Buffett's Berkshire Hathaway loosens policy on stock buybacks . The new policy authorizes Buffett and his business partner Charlie Munger to buyback the company shares if they think the share price is below intrinsic value. If the company buys back 20,000 shares of its stock at $70, the book value per share becomes: (80000000 – 70*20000) / (1000000-20000) = $80.20. Hence, the book value per share increases. Let’s say the company buys back 20,000 shares at $100 (above book value), the book value per share becomes (80000000 – 100*20000) / (1000000-20000) = $79.59. Hence, the book value per share decreases. If P is the price of the stock that company buys and X is the total number of shares purchased, then B2 is the book value per share after the purchase and its given by: B2 = (B­T – P*X)/(S – X). Looking at the equation above, if P = B1 (i.e. buy exactly at book value), the ratio of B2 to B1 is 1. However, if P is above B1, factional change of total book value is larger compared to factional change in the number of shares. Hence, the ratio of B2 to B1 is less than 1. Similarly, if P is below B1, factional change of total book value is smaller compared to factional change in the number of shares. Hence, the ratio of B2 to B1 is more than 1. Therefore, if a company is always buying its share above book value, the book value per share decreases over time. Assuming P/B remains the same, we will see a decline in stock price. Intrinsic value is the ‘true’ price of the company’s worth. Frankly speaking, nobody really knows what is the true value because everybody uses different methods to calculate it. But everyone uses the same principle which is the present value of the future cash flow. This ‘cash flow’ can be dividends, free cash flow to equity holders etc. What happens if a company buys its own stock below the intrinsic value ? We can apply the same arithmetic as the book value calculation as above. Since real cash has to be used to buy its own shares, its intrinsic value decline but its intrinsic value per share increases. Since it is assumed the long term share price revert back to its intrinsic value, share purchase below the intrinsic value could results in a share price increase. If a company purchase 5m of its shares, the earnings per share becomes 10/(100-5) = $0.11. Assuming the P/E ratio remains the same, the share price will increase. It must be noted that this earnings per share is based on historical net income. Future earnings could be very different. If company employees receive shares as part of their remuneration, earnings per share decreases since the same earnings would now be based on a larger number of shares outstanding. As a result, the company may have to buy shares from the open market to counter the dilution effect. The company issues stock options to its employees. 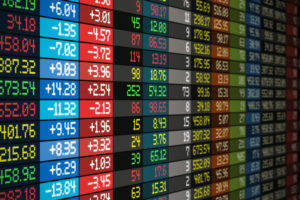 After the vesting period, employees exercise their stock options at a strike price way below the prevailing market price. However, if the stock price is below strike price, they will not exercise it. The company buy its own shares from the open market to prevent earnings dilution. Employees will only exercise their options when the strike price is below the market price. Therefore, the company will always buy its own stock (step 3) above the strike price to prevent its earnings per share to be diluted. What really happens is that the company bought shares at a high price and sell shares at a lower price to its employees. The employees – on the other hand – have a binary payoff. They either make a windfall or nothing (i.e. no lost) due to the characteristic of the options. So the company suffers from a double whammy – losses due to buying high and selling low and the cost of short selling the call option. Do note that there is a cost of short selling the call option because the company does not collect any option premium from its employees except perhaps for a token $1 to legalize the option agreement. If the management remuneration is tied to the stock price or some other metric, they may do a share buyback. For example, if the management remuneration is tied to increase in earnings per share, then it would do a share buyback since a share buyback always increase the earnings per share (nevermind the stock price may drop because of the decline in PE ratio). This may not be in the interest of the company because the cash used could have been better utilized or simply paid to shareholders instead of fattening the management’s wallet. Dividends are taxed at many jurisdictions. In fact, dividends are often taxed twice. Earnings are already taxed at the company level. When dividends are declared, the investor is taxed again. Example: a Singaporean investor investing in US stocks will be taxed at 30% called withholding tax. However, no such tax is payable for share buyback. Assuming there is no hanky panky involved and there are significant tax on dividends, share buyback is the preferred way of the company returning its earnings back to its shareholders. It was reported that for the years 2006-2015, 459 companies in the S&P 500 Index that were publicly listed over the ten-year period spent 54% of their net income in share buybacks and an addition 37% of net income on dividends. Many amateur investors just focus on dividends. While there are many reasons why dividends cannot be used as a sole consideration, what is for sure is that the statistics tells us that share buybacks have become a more popular way of returning earnings to shareholders as compared to paying dividends.